The fate of Meghalaya Chief Minister, Conrad K Sangma and other candidates will be decided on Thursday as they seek the people’s mandate in the by-elections to South Tura and Ranikor Assembly constituencies. Tight security has been deployed with four companies of CAPF each for South Tura and Ranikor on the polling day. Voting will be held from 7 am to 5 pm in all polling booths in the two constituencies. In South Tura, Conrad of the ruling National People’s Party (NPP) and his opponents – Charlotte W Momin of the Congress, John Leslee K Sangma and Chris Kabul Sangma are in the fray as Independents. Like in South Tura, Ranikor also saw a quadripartite contest where former Assembly Speaker and five-time MLA, Martin M Danggo who quit the Congress and joined the National People’s Party is fighting with three other opponents. 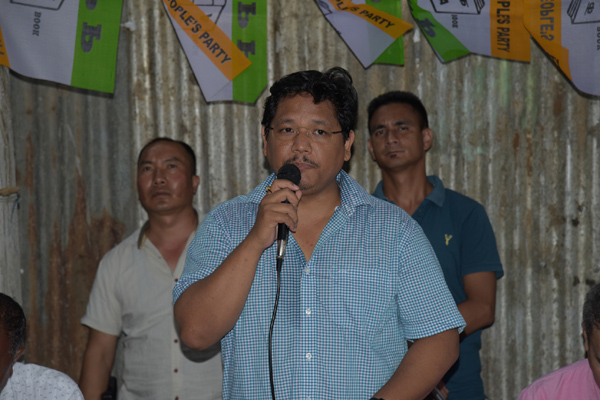 Pius Marweiñ of the United Democratic Party, former Mawsynram MLA, P N Syiem of the People’s Democratic Front and Jackuis Sangma of the opposition Congress are in the fray wanting to defeat Danggo. Ranikor has a total of 29,670 general electors spread across 65 polling booths which include 15,183 male and 14,487 female voters. Including 15 service voters, the total voters in Ranikor is 29,685. Ranikor has 65 polling booths, and Nongkdait with 901 voters is the biggest polling booth. Nongbahjynrin-Mawthabah with 63 voters, is the smallest polling booth. Ten polling stations under Ranikor Assembly constituency are non-motorable. In these polling booths, runners will act as messengers where they would collection information and updates from polling stations and then share the same with a sector officer who is stationing at the nearest motorable point. In the February 27 Assembly polls this year, Ranikor recorded a polling percentage of 89.5. In South Tura, 30,440 voters which include 14,966 male voters, and 15474 female voters will decide the fate of the Chief Minister and other three candidates. There are also 37 service voters, and 35 persons with disabilities (PwDs) voters. The polling station with highest number of voters is Matchakolgre Community Hall (1337 voters) and the polling station with lowest voters is Leper Colony (151 voters). An all women polling station has been set up Upper Babupara (L G B Higher Secondary School), and two model polling stations – Tura Government College (Room No 1 separate building) and Tura Government College (Room No 2 separate building). The PwD model polling station is Leper Colony L P School. Polling in the Assembly polls in South Tura was 73.59 per cent. Out of 65 polling booths, Ranikor has three critical and 26 vulnerable polling stations. South Tura with 36 polling stations, has one critical and 18 vulnerable polling booths. Counting of votes in both the constituencies will be held on August 27.